Technology continues to change and improve the ways that we live life. When it comes to buying a vehicle, it has completely changed the game. Whether you are looking to buy a car online, or are needing some more information when researching a car. Online car websites are going to drastically improve your car buying experience. This list of the best car buying sites is going to provide you with everything that you need. It will give you access to all the information that you need to find your perfect car and to make sure that you are getting a great deal. Joydrive offers a complete online buying experience. They will provide you with a network of handpicked dealers. As well as a variety of new and pre-owned vehicles. Each Joydrive vehicle also comes with an in-depth background check. You even get a five day trial period once you receive your vehicle. You can also trade in your vehicle as well for even more added savings. CarsDirect offers a lot of great features when it comes to finding the right car for you. They offer buying guides, expert analysis on different vehicles, and more. They are going to have all the tools that you need to make an informed car buying decision. Once you have specified what you are looking for in a vehicle. CarsDirect will be able to connect you with the internet department of a trusted dealership. From here you will be able to see specific cars and numbers. 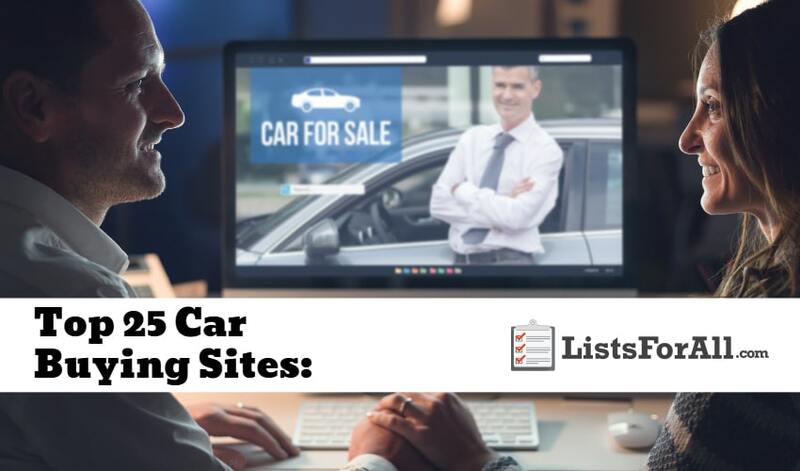 Cars.com centers everything that they do around their “4PS of Automotive Marketing, Product, Price, Place, and Person.” Their goal is to create meaningful connections between buyers and sellers. One of the biggest players in the online car buying industry. Cars.com is going to be a great option when it comes to finding an excellent vehicle for you. Even if you aren’t looking to buy a car from them, they offer some great resources as well. The price point is one of the best ways to know whether you are getting a good deal on a car or not. TrueCar is going to allow you to have a confident buying experience by providing accurate price points. They will allow you to see what others paid for the same vehicle that you are looking at. This will allow you to compare the pricing and see if it is a deal or not. TrueCar also offers certified dealers, but you can use their pricing tool on any car. This is going to give you confidence in the price you pay for your next car. Whether you are looking to sell or buy, Autotrader is going to have a lot of great tools. These tools are going to be able to help smooth out the process and help you to get a good deal. They offer tools that allow you to do research, vehicle reports, and a lot more. Autotrader is a tool that every car buyer or seller should be taking advantage of. Edmunds offers a large selection of new and used cars. You will be able to search through all that Edmunds offers. If you aren’t sure of what you are looking for, no worries either. Edmunds is going to provide you with some great research tools and other resources. Their team of content producers is also continually providing an excellent source of car buying tips and information. DriveTime was founded in 2002 and focuses solely on used cars. Having sold over 1 million used cars, DriveTime is trusted by customers from all over. They offer a variety of excellent vehicles, an advice center, and much more. DriveTime is going to allow you to trust the used car marketplace. You will be able to find exactly what you need and are looking for when it comes to purchasing a used vehicle. Carvana is going to be a completely online buying experience. There are no dealership middlemen with Carvana. This means more savings for you. They also offer certified cars that come with a 100 day/4,189 mile “Worry Free Guarantee.” If that isn’t enough, they also offer a 7-day test drive that will allow you to return the car if you don’t like it. “Say hello to a whole new way to buy a car” with Carvana and everything that they offer. When it comes to online car buying resources, Kelley Blue Book or KBB is one of the original players. KBB has made it all this time for good reason too. They offer a variety of great tools for buying and selling cars. Their most popular tool is their price estimator. You will be able to plug in all the information about a specific car and then receive an accurate car value. The more detailed you are with your information, the more accurate your estimate will be. This is just one of the great tools that KBB offers too. So make sure that you check them out if you are in the market for a vehicle or looking to sell. Want to get your next care delivered right to your front door? With Vroom you are are going to gain access to a large inventory of cars. And, after deciding on the perfect car for you, they will deliver it right to you. The majority of the vehicles that Vroom offers have a manufactures warranty. However, Vroom also offers protection plans though that will help to give you peace of mind. If transparency is a big selling point for you, then CarGurus is going to be a site that you need to take advantage of. Their goal is to provide a “transparent automotive marketplace.” CarGurus will give you access to a variety of top-rated dealers. When it comes to finding the right car for you, they will guide you through the entire process. They have tools like Deal Ratings, Instant Market Value, and other proprietary technology. CarGurus is going to allow you to become a car guru yourself. Facebook Marketplace allows sellers and buyers to connect on pretty much anything. So well it is not only for cars, Facebook Marketplace does allow you to connect with a lot of great vehicles. You are also able to save some big bucks as well. There are going to be a lot of private sellers as well; this means no dealer fees or a cut for the middleman. 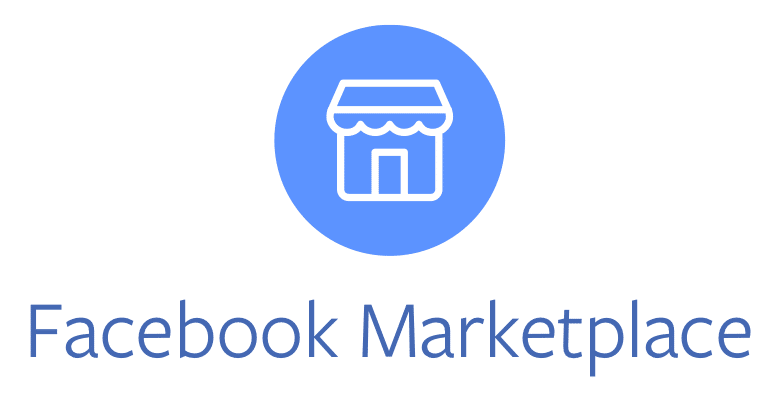 Try pairing up tools like KBB, TrueCar, and CarFax when evaluating the different cars listed on the Facebook Marketplace. There is a pretty high chance that you have already heard of Craigslist before. You may not be as familiar though with how many great car listings are put out every day on Craigslist. Comprised of both private sellers and dealers. Craigslist is going to allow you to search through a large variety of locally owned vehicles. Remember to do your due diligence though when deciding on what car to buy. Use some of the great free tools that are offered by some of the other car purchasing sites on this list. If you have seen any car commercials that feature an award, it is most likely titled the “J. D. Power’s Award for…” That is because J. D. Powers is one of the most trusted sources when it comes to vehicle data and information. 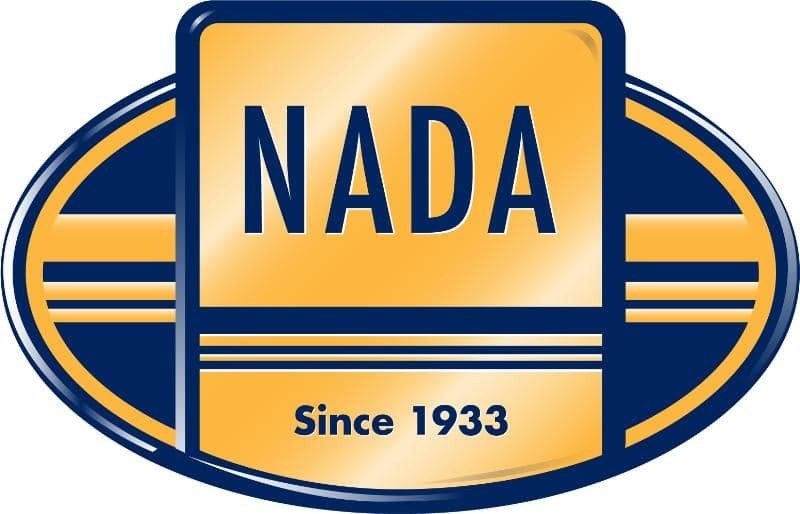 NADAguides is run by J. D. Powers and is going to provide quality and trusted car related information. “J. D. Power provides some of the most comprehensive and market-reflective vehicle pricing and information available today.” So if you are in the market to buy or sell a vehicle, make sure you give NADAguides a visit. Love vintage and classic cars? Bring a Trailer may be the perfect choice for you. They will connect you with sellers that are going to list their vehicles to be sold in an auction format. The auction description provides pictures and detailed information on every vehicle. The buyer handles shipping on any winning bid. So make sure that you factor that into your bidding budget. With a number of great sites on this list, it may be hard for you to figure out which site to start with. AutoTempest is going to be able to provide you with the top searches from a variety of different sites all at once. You will be able to get results from sites like eBay Motors, Cars.com, AutoTrader and more. This will help with cutting down your search time and allow you to get right to the cars that you want to look at. eBay is known around the world as one of the best marketplaces to buy and sell great products. When it comes to listing and selling cars, it is no different. Also, with eBay Vehicle Purchase Protection, you can feel safer about your buy. This is going to make sure what you bid on is exactly what you receive. For a large selection and a variety of makes and models, eBay is going to be a great car purchasing site. NowCar is only going to offer new cars. They aim to provide you with a transparent car buying process that will save you money. They offer a variety of great features that they call “The NowCar Difference.” Some of these features are Free delivery, 24/7 shopping, 5-day money back guarantee, rebates and incentives, and a ton more. So if you are looking for a great way to purchase a new vehicle, NowCar may be the perfect fit for you. When buying a used car, it all comes down to the vehicle’s history and how well the vehicle was taken care of. CARFAX is designed to provide you with as much history on the vehicle as possible. Their report is going to cover odometer, number of owners, accident report, and more. CARFAX is going to allow you to have better peace of mind when it comes purchasing a used car. CARFAX also offers a “Buyback Guarantee.” If the CARFAX report fails to include a “DMV-issued branded title (such as salvage, fire or flood damage, and odometer problems)” they may buy your vehicle back from you. Taking the same business model that Kayak did with travel sites. Autolist is in place to help you navigate the millions of car listings that are online. With a variety of different ways to search as well, you will be able to help narrow down your search in no time. Use Autolist to help simplify the car purchasing process as well as see a variety of great cars. Autobytel (owned by AutoWeb) is going to provide you with a large amount of car buying information. Started in 1995, Autobytel has helped connect thousands of consumers with quality dealers. It has also provided research tools to millions of other site visitors. Autobytel is a leader in the online car buying industry. CarSoup is going to allow you to search by make and model, body style, budget, and more. They will be able to put you in front of a lot of quality vehicles in a short period of time. If you are looking to upgrade, they also provide the ability to sell your vehicle. Along with great buying and selling tools. They also offer financing help and a variety of other great car resources. CarMax offers both online and in-store car buying options. They have tens of thousands of cars available nationwide. So there is a good chance that they are going to have a car that fits exactly what you are looking for. And, with their low upfront prices, you don’t have to worry about having to haggle and stress for a better deal. CarMax has already sold over 8 million cars, so that means that they must be doing something right. CarJoJo is going to work as your representative in finding you the best car deals possible. For a fee of $199, they will negotiate a price with different dealers for the car that you want. You will be able to see the price that CarJoJo believes that they can get for you before you agree as well. So if you are able to find the best price on CarJoJo and you need to spend a small fee upfront to save thousands, it is worth it. Give CarJoJo a visit if you are looking for some expert help in getting a great deal on your car. Purchasing a vehicle can be a significant financial commitment. It can also take a lot longer than it should. With this list of the best car buying sites our goal was to help you save both money and time. You should be able to find the car you are looking for without breaking the bank or spending a large amount of time. A lot of the tools on this site work well with each other. So make sure you take advantage of all the free tools that each site offers. This list should have everything that you need to make an informed decision that you are going to be happy with. If you have used any of these car buying sites, we would love to hear your feedback in the comments below.